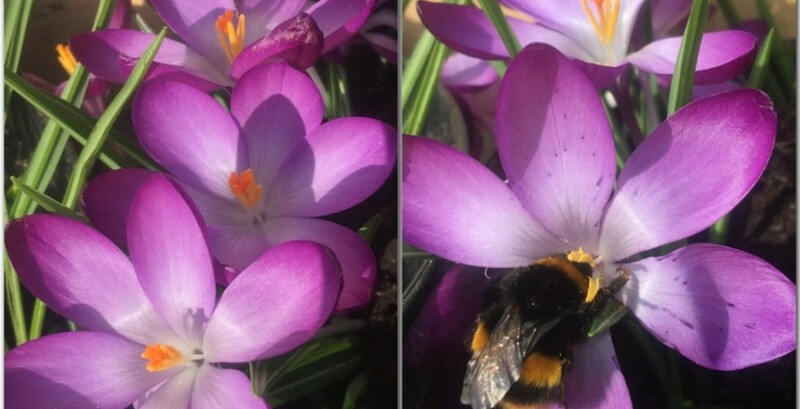 We are a family owned and managed business, providing lawn care and garden maintenance services in East Kilbride and the surrounding areas since 2013. We wear a uniform and carry our equipment in a clearly identifiable van. We are fully insured with public and employer’s liability insurance, and we have a licence to carry garden waste from the Scottish Environmental Protection Agency. Click this ABOUT US link to read a little more about the owners & directors of Mr & Mrs Gardens Limited. 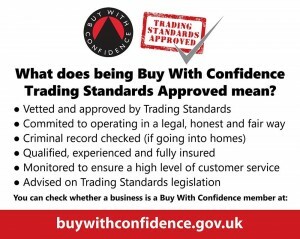 We were among the first businesses in South Lanarkshire to be vetted and approved by Trading Standards as part of their ‘BUY WITH CONFIDENCE‘ scheme. 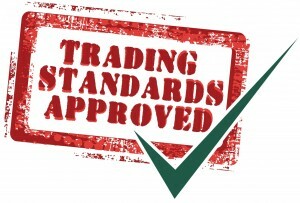 We were the first gardening business in South Lanarkshire to be approved onto the scheme. 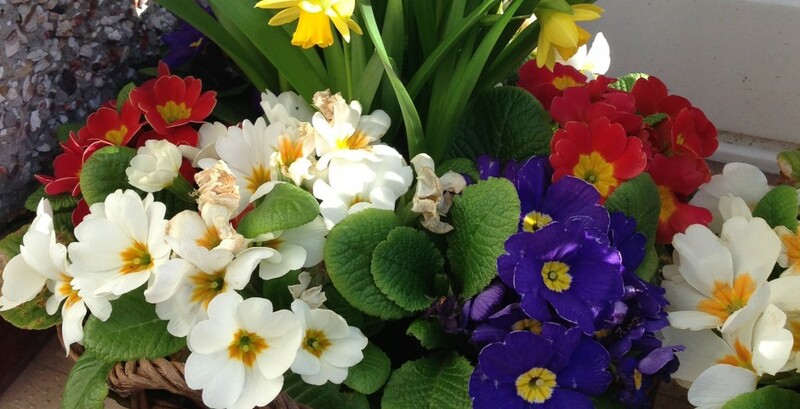 We have maintained our membership status every year since the scheme began and are the longest serving gardening business on the South Lanarkshire Trading Standards ‘Buy With Confidence’ scheme. We are immensely proud of this achievement. Please click this BUY WITH CONFIDENCE link to read over 50 five star independent reviews for Mr & Mrs Gardens Limited from our customers. The Lawn Advocates is the business name for the lawn care side of our business. 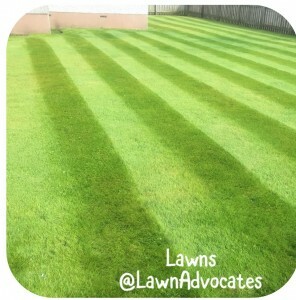 Whether you are looking for a straight forward grass cutting service or more specialist lawn care treatments and interventions, The Lawn Advocates have the skills, machinery and experience to help. Click THE LAWN ADVOCATES to visit the lawn care services section of our website. 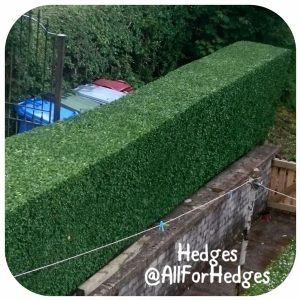 All For Hedges is the business name for the hedge care side of our business. Whether you are looking for a small front hedge to be trimmed neat, or a high hedge to be brought back into control, All For Hedges have the hedge trimmers and access equipment for the job. Click ALL FOR HEDGES to visit the hedges section of of our website. Clear Space Weed Control is the business name for the weed control side of our business. 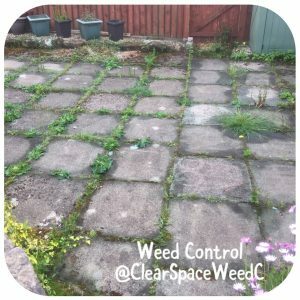 Whether you are looking at weeds popping up in your patio or all over your driveway, Clear Space Weed Control have the specialist training, qualifications, licences, equipment to deal with them. Click CLEAR SPACE WEED CONTROL to visit the weed control section of our website. Whether you are looking for a one off job, or a more regular commitment, please take a look at the SERVICES section of our website to see the range of we have to offer. 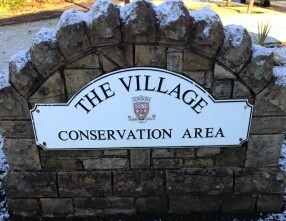 We are based in East Kilbride, not too far from the old Village area of the town. 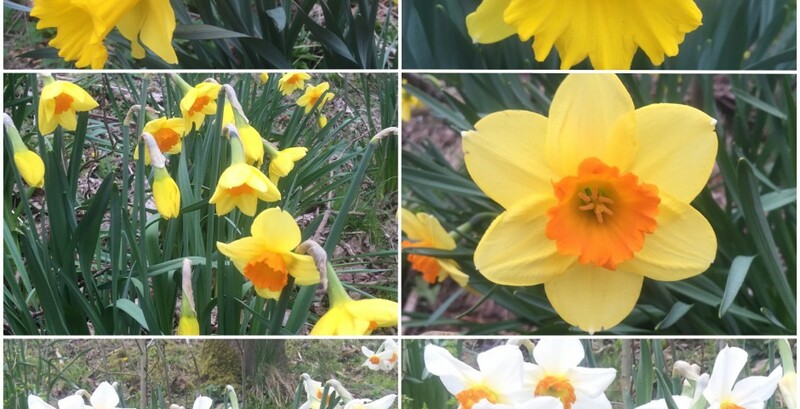 Please feel free to CONTACT US about your particular lawn care & garden maintenance requirements. Please click this MEMBERSHIPS link to see more details of these organisations on our website. The Lawn Advocates, All For Hedges & Clear Space Weed Control are business trading names of MR & MRS GARDENS LIMITED. 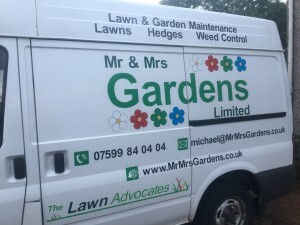 Mr & Mrs Gardens Limited is a private company limited by shares, incorporated and registered in Scotland with company number SC448308, having its registered office at 20 Tantallon Park, East Kilbride, South Lanarkshire, G74 1DU.